In the course of an intraoffice chat about some social-media stuff you wouldn’t care about, we shared a bunch of our favorite sports GIFs. Turns out there are a lot of very good sports GIFs. 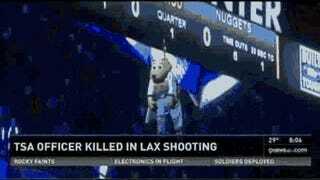 But I think the GIF of an unconscious Nuggets mascot being lowered to the court might be my favorite. There are no actual sports going on right now and it’s miserable. So: what is your favorite sports GIF?